When those struggling with substance abuse indulge in that addiction, their brain releases a ‘feel good’ chemical called dopamine into the synapses. Dopamine signals body that something pleasurable has happened or is about to happen. When the addicts undergo addiction treatment, they often feel a frequent sense of something missing from in their life. That missing thing is usually dopamine. To fill this emptiness, recovering addicts sometimes turn to something else, such as coffee, food, shopping, cigarettes, pills, or anything that mimics their original addiction. In simple terms, cross-addiction means you’ve traded one addiction for another. For example, if you’re working through an alcoholism treatment program, then you may be vulnerable to become addicted to opioids, food, or even gambling, even if you’ve never been addicted to those things in the past. Cross-addiction can be harmless, especially when you’ve traded a life-threatening drug like heroin for gambling. But the bitter truth is that addiction of anything is dangerous. Remember, even excessive gambling or shopping can drain your quality of life. Similarly, a prescription pill abuse can run you into a deadly car accident or result in a fatal overdose. Also, cross-addiction often puts you back into the atmosphere that invites a relapse. For example, gambling in a casino surrounded by drinkers and substance abusers may tempt you to join them. Needless to say, cross-addiction is also hazardous and needs to be treated. 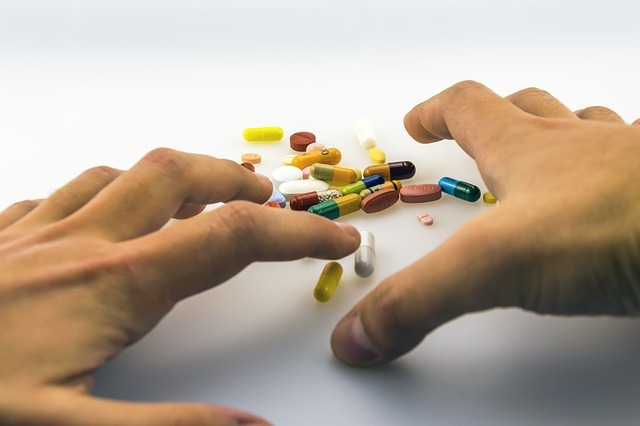 Addicts who are new to drug and alcohol rehab are most likely to face relapsing. That’s why cross-addiction is particularly common among people who are new to addiction recovery. Though cross-addiction is common among those who are newly sobers, it can strike even those with several year sober. You might have heard about someone who was sober for ten years and then became addicted to painkillers immediately. Cross-addiction is more common than you even think. Good news: there are healthy dopamine substitutes! Addicts may choose healthy substitutes to replace the previous bad source of dopamine. For example, exercise releases dopamine in the same rewarding way that drugs and alcohol do. Also, exercising keeps you healthy and helps avoid relapse. Some drugs and alcoholism treatment programs encourage addicts to do social services. Helping others produces a happy, rewarding feeling and keeps you on a good path. Some addicts may get their dopamine dose from traveling, adventure, and sports. As long as you have a healthy and legal stress management tool, dopamine achieved from hard work can be a powerful substitute for drugs and alcohol. Cognitive behavioral therapy (CBT) is an effective treatment for cross-addiction that examines the thought patterns underlying your addictive behavior. Once you recognize these patterns, a skilled therapist will suggests possible strategies for positively dealing with them. These strategies may be designed for stress reduction, anxiety handling, and anger control. 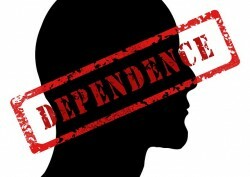 Self-help support network is another treatment for cross-addiction. Addicts attend meetings and get powerful benefits by networking with people with similar experiences. Keep in mind, cross-addiction usually hits at the most unexpected moments. Remember that addiction recovery is a life-long process. Keep recovering and keep moving forward!